The bookings tab in the talent profile shows you a list of all bookings that the talent has been added to, and includes current status and invoice number (if invoiced). To search for specific bookings, click on the magnifying glass at the top left of the booking list. 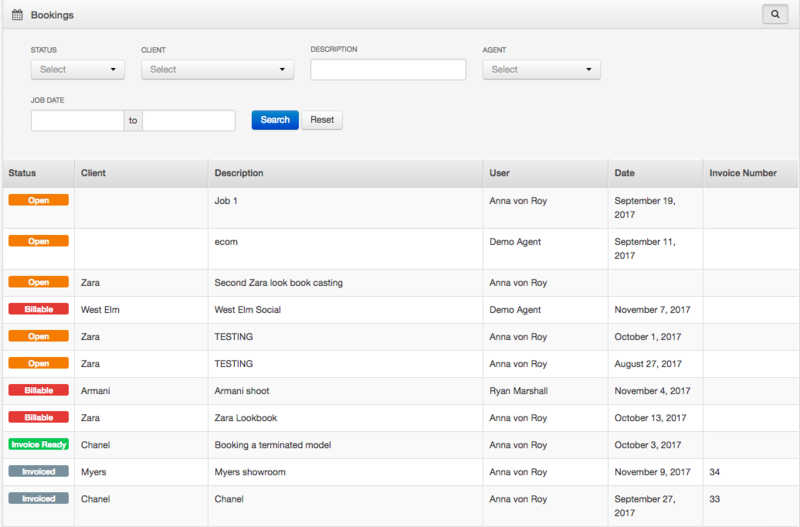 You are able to search for bookings that this talent has been associated with via different criteria.